This is a refrain from a song in my ipod shuffle, which I hear a couple of times a week when I’m out biking or running. I often ponder on that song and wonder what I have done to make, not only myself proud, but my parents, and the people around me? I wonder if people ever ask themselves what they have done to be proud of this country. I had planned on posting this on June 12 in celebration of independence day, but as usual got caught up with a billion things. Delayed as it is, I think we should all ask ourselves that question. As a human being, as a God fearing Filipino, does my existence contribute to the general welfare of the people around me, my country? Do I complain about what’s wrong with this country before asking myself what have I done to make it better? It’s a serious question but depending on your mood, you can answer it lightly or with as much as serious thought as you wish to put into it. 1. As a mother, I am proudly raising my two daughters to be responsible citizens who care about others and the environment we live in. During the summer, I had each of them list their energy-saving tips and ways of saving the environment (subject of a future blog). I try to expose them to all aspects of Filipino life, so they understand that there is still so much poverty around us and that each of us can do something to make a difference. I want them to be cognizant of the fact that life is tough for many. Their baby brother Gabriel did not have an easy life. He could not breath without assistance, could not eat without a tube in his mouth. 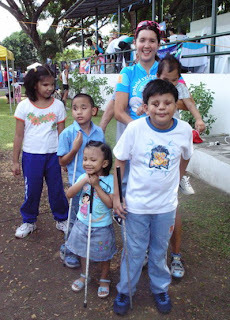 So every year, we celebrate Gabriel’s life with a 12-hour fundraising and awareness multi-sport event for the benefit of children with disabilities (www.gabrielsymphony.com). 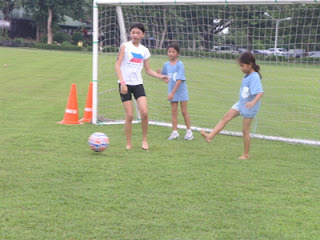 I hope my daughters will grow up to be compassionate Filipinos who care about the well-being of others. 2. We Filipinos take pride in our love of family and respect for our elders. We take care of our parents and grandparents. We are proudly the best caregivers in the world, from doctors to nurses to caregivers; our professionals are sought worldwide. But government must not lose focus on the fact that as we supply the world with our human health care professionals, we must also plan on how to take care of our own. These were some of the issues I have been working on locally and abroad, most recently at the Inter-Parliamentary Union held in Cape Town last April (future blog). We need to focus on improving access to healthcare for our own people. 4. I am proudly fighting for a greener cleaner Philippines. We are working on the passage of the sustainable forest management bill. We are also trying to increase awareness and compliance with our solid waste management law (RA 9003). 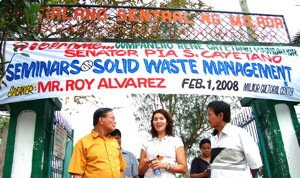 More and more Filipinos are aware of the need to segregate waste. And yet according to Ecowaste Coalition, of the 42,000 barangays only 2,000 have a segregation program and an MRF (material recovery facility). Is there one in your barangay? 6. I am proudly working towards the attainment of our Millennium Development Goals in 2015. We need to decrease our infant, child and maternal mortality rates. Today, there are still many women in the rural areas who die of childbirth, simply because they do not have access to a childbirth attendant (a certified midwife, nurse or doctor). Many newborns are underweight, malnourished and sickly because their mothers did not have pre-natal care. Access to prenatal care is vital. 8. Filipino women are the bedrock of our homes and our society. 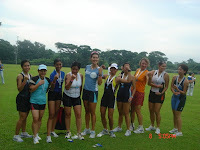 I proudly support women empowerment thru my Pinay In Action programs. Every year, we celebrate Women’s Month in March with an all-women’s run and expo. 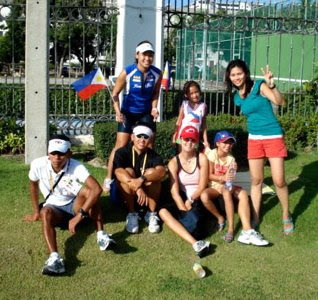 My team, headed by national team tri champ Ani de Leon goes around the country giving talks on empowerment to young girls and teaching them how to run. 9. I proudly support the Philippine teams that compete in international competitions. These athletes work hard, despite the limitations in training facilities, financial and sometimes even moral support. They persevere and excel..and bring glory to our country. 10. I love to race. 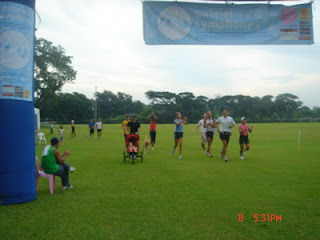 I join triathlons, duathlons and marathons whenever I can. 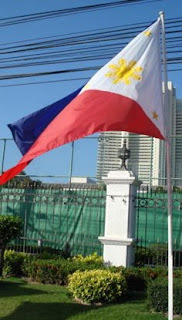 It is my pride and privilege to carry the Philippine flag. I could spend a whole day on this list. But the point of this exercise is to get people to think, just as the song goes, â€œwhat have you done today to make you feel proud? September 11, 2001, I was in the coffee shop of a hotel when the news of the twin tower attack reached us. It was horrible horrible news. I was left thinking of all the families who had lost a parent, a sibbling, a loved one. I kept wondering how would they cope…how would they go on after that.. 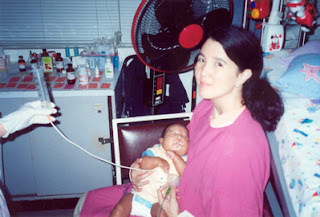 I had no way of knowing that a week later, September 19, 2001, I too would suffer such a devasting loss..On a day that was otherwise a regular working day to most moms, a school day for most kids, my only son and baby, Gabriel, breathed his last. That day i walked out of the hospital, not like most moms with a content sleeping baby in her arms. I walked out carrying a baby who no longer breathed. As I stood in the parking lot with Gabriel in my arms, I realized the cool air brushed against his cheeks for the first time. If he could open his eyes, he would have seen the beautiful sky..How I wished that he had been normal, that I would have been blessed to see him grow, to run after his sisters, to learn to ride a bike..But that was not God’s plan and I had to accept it.. Many days before that in the middle of a run, I would find myself thinking that one day he will be gone and I will know sadness as I have never known it before. How will I cope? How will I go on? When he died, I had to break the news to my children, Max who was then 6 and Nadine who had just turned 3. Max cried silently when I told her. Nadine didnt seem to understand then. 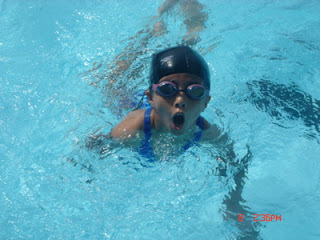 But today, 6 years later, Nadine comes to me crying saying she misses her brother. I end up crying with her because I miss him too. Last September 9, we celebrated our annual 12 hours in Memory of Gabriel (www.gabrielsymphony.com). I ts a fundraising multi-sport event we organize where we invite people to join us for 12 hours of walking, running or biking to raise funds for children with disabilities..Every year, I strive to make it more family friendly to encourage more people to come. I want it to be a venue for families to have a fun time, enjoying a beautiful day outdoors and at the same time raising awareness about kids who have special needs. I want my kids to know that their brother was special in many ways – special in the medical sense, because he had special needs – he could not see and hear. He would have never talked, walked or read a book. But also special because, through him, other kids would have a chance at a better life. This year was a little bit different because aside from the 12 hour run, walk and bike event that was going on from 6am to 6pm, we had a super kids triathlon and an all women’s beginner’s triathlon. We also had Maiqui Dayrit do his 3rd ironman distance triathlon (swim 3.8km, bike 180km and run 42km) and this year we also had a woman! 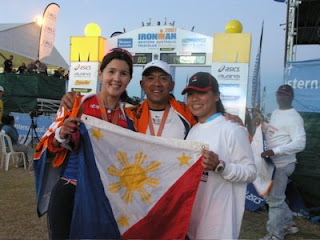 Ge Santiago did an ironman distance as well! Both Maiqui and Ge went out of their way to get friends and family sponsor them, thereby raising more funds for our cause. Maiqui, did an amazing race in just over 11 hours. He actually finished before it got dark. I did not know what to do with him because he looked so fresh and was happy just hanging around the area waiting and cheering for Ge. The girls decided to do a “girl power” and keep Ge company in the run. 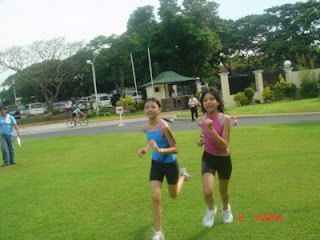 Ani and Angeline (Labs to George and the tri community) ran with her almost from the start. 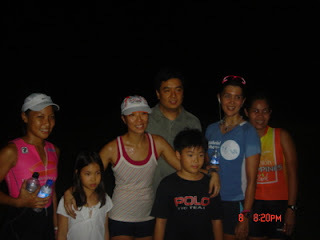 I joined in later.Way after the sun had set, my kids, the Torres kids,their dad Joey, my brothers and other friends were still playing soccer and cheering on Ge everytime we passed by..
Ge finished in 13:58 with her kids and husband by her side…and the rest of us cheering wildly. 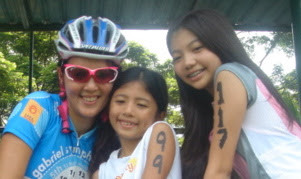 My daughter, Nadine decided to do her first triathlon at Gabriel’s event. Maxie and her best friend Amanda, feeling they were tri-veterans, didn’t train for the triathlon. On race day, they winged it on the swim, biked comfortably and dragged their feet on the run, but in the last hundred meters, managed a sprint! Truly, on that day, God in his wisdom and grace had turned my sorrow into joy. Thank you to everyone who joined us, thereby bringing joy to the lives of other children.